The CB&A team has traveled to Denver for ISTE 2010 – the conference formerly known as NECC. The theme of this year’s most comprehensive educational technology event is Exploring Excellence. Nearly 20,000 teachers, technology coordinators, library media specialists, administrators, policy makers, industry representatives, and students from around the globe have gathered in the Mile-High City. 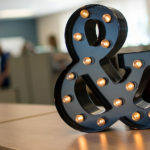 Whether you’re attending the conference in person or virtually, bookmark www.isteconnects.org or follow ISTE Connects on Twitter for the latest news, events and commentary from ISTE. In addition, follow Charlene Blohm, Kristen Plemon, Sandy Fash, and Emily Embury on Twitter as they tweet daily updates of interesting articles, client news and helpful tips. Also be sure to follow CB&A at CBlohmAssoc, led by Brittany Dorfner. Califone (Booth #1189) Providing all students the opportunity to clearly hear their teachers and audiovisual media in the classroom, Califone showcases its upgrade Infrared Classroom Audio System as well as the company’s new Assistive Listening System. For more information, visit www.califone.com. Discovery Education (Booth #628) Discovery Education announces new agreements with several organizations, including BBC, Smarterville/Reading Rainbow and CBS News, to further expand the content libraries of the company’s curricular services. For more information, visit http://bit.ly/aDFO67. ePals (Booth #1478) ePals highlights 11 educators from around the world who were named winners of the company’s 2010 Teacher Ambassador Contest. These winners were chosen based on their innovative use of the ePals Global Community across the curriculum. For more information, visit www.epals.com. Funds For Learning (Booth #1532) Funds For Learning announces the latest release of E-rate Manager, a web-based tool used for assistance with E-rate funding requests and commitments, offering improved features to enhance the user experience. For more information, visit www.fundsforlearning.com. GlobalScholar (Booth #554) GlobalScholar highlights several U.S. districts that use the Pinnacle Suite of products to provide administrators and educators the data and resources they need to inform instructional decisions and improve student achievement. Gradecam (Booth #1384) When paired with a web or document camera, GradeCam Online allows teachers to scan and grade multiple-choice tests and other assignments instantly, helping to ease a time-consuming administrative burden. Lightspeed Systems (Booth #580) Nearly 800 schools are planning to implement My Big Campus from Lightspeed Systems in the upcoming school year to enable educators and students to collaborate and share appropriate online resources safely and securely..
PBS Teachers (Booth #948) PBS offers standards-based teaching activities, lesson plans, on-demand video assets, and interactive games and simulations through its Web portal for preK-12 educators, pbsteachers.org. PBS has released several new mobile apps to enhance student learning anytime, anywhere. For more information, visit http://pbskids.org/mobile. PBS TeacherLine (Booth #948) With the surge of open technology use among educational institutions, PBS TeacherLine has converted to Moodle for its online course management system. The conversion provides schools with more flexibility in licensing, customizing and delivering professional development to teachers. netTrekker (Booth #884) netTrekker is launching a new version of its search tool, named “netTrekker Search,” to provide users with a personalized and productive search experience. Users can customize home pages and search results based on their needs. For more information, visit http://bit.ly/csUtag. STI (Booth #437) STI unveils Ready, Set, Go!, a customized program of professional development and coaching that supports schools in creating a data-informed culture to increase teacher effectiveness and student achievement. SIIA – SIIA announces the results of the organization’s annual Vision K-2 Survey during a press conference for media, industry VIPS and members. In addition, the organization highlights its 2010 Trends Report for Education Technology. Shmoop – Shmoop announces its public beta test of Shmoop Economics, a free online resource that uses humor, current events, pop culture references, and games to capture student interest in economics. Learning? There’s an App for That!